Kajiado North Divisional Traffic Officer James Morigo together with his team inspecting a PSV vehicle. Photo Bell Pere. 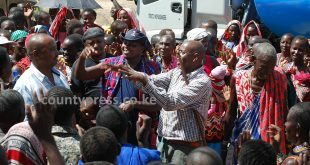 The recent crackdown on transport sector issued by Internal Security Cabinet Secretary Fred Matingi left hundreds of daily commuters in Kajiado County in a frenzy after matatu operators kept off the roads to protest stringent imposition of traffic rules. 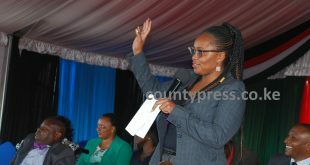 The famous Michuki Laws implemented fourteen years ago in 2004 by the no-nonsense late Transport minister John Michuki, saw many public service vehicles (PSVs) impounded by hawk-eyed traffic officers all over the county. The swoop caught many resident frustrated as the few vehicles on the road hiked fares to cash in on the shortage of matatus on the roads. The laws entail all PSVs having a yellow line, functioning seat belts and valid insurance certificates. Touts must don uniform and drivers too must comply with the rules. “The traffic police have been pursuing us since CS Matingi enforced the rules. 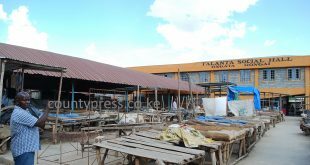 We have been trying to comply with what the Government wants us to do but the it (government) should have given us more time to take our vehicles back to the garage,” added Zachariah. Peter Maina, a student at University of Nairobi had to go back home after the Matatu Operators hiked bus fare to triple the usual prices. “Ngong to Nairobi fare is Sh300, this I can simply not afford. I will have to miss three classes today because of the bus fare,” he said. 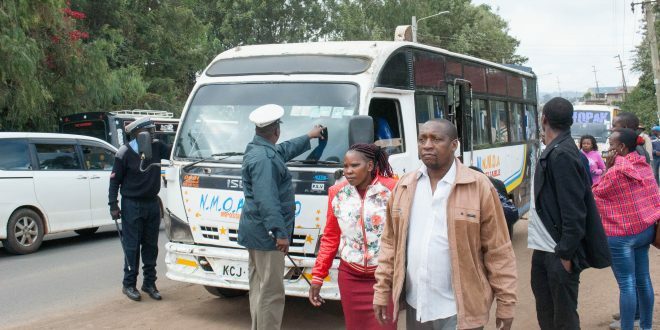 Kajiado North Divisional Traffic Officer James Morigo together with his team have been inspecting public vehicles plying Ngong- Nairobi route since the crackdown started. “Why is your vehicle insurance not updated? Where is your first aid kit and fire extinguisher in case of any emergency? 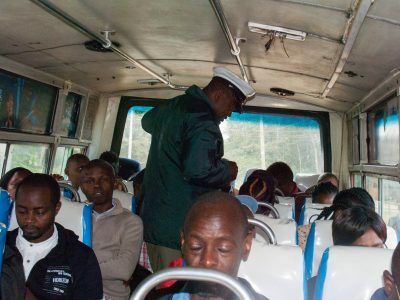 Everyone in this matatu please ensure that your safety belt is properly functioning,” said the DTO James Morigo while inspecting one of the vehicle on the road. 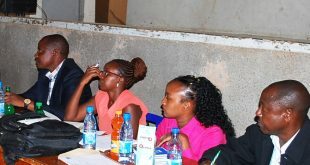 CS Matiangi said the madness exhibited towards the end of last year during the festive season will not happen again and that the implementation of the tough laws will be continuous. “Some have said we will get tired. They are mistaken. 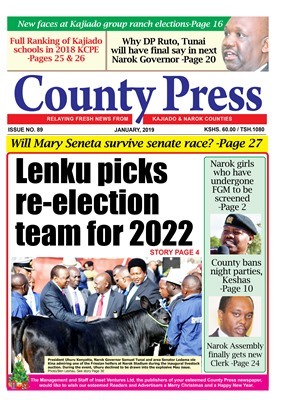 The measures will be institutionalized and will stay today, tomorrow and in future,” stated Matiang’i. Previous Fashion: Beauty of the month!